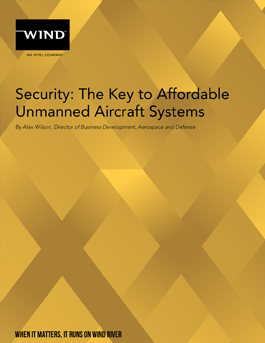 Cost efficiency and affordability will always be key design criteria for unmanned aircraft systems (UAS). Much discussion has focused on the use of open systems architectures (OSA) as a means of reducing costs. However, there is another design criterion that impacts costs and affordability even more than open architecture: security.